Abe Sapien Volume 4: The Shape of Things to Come TPB <--- Excellent Abe Sapien collection of ongoing material! Avatar: The Last Airbender—The Rift Part 2 TPB <--- OMG…OMG…AVATARRRRRRR! Doctor Solar, Man of the Atom Archives Volume 3 TPB <--- Dr. Solar Archive! For those of you keen on Dr. Solar! RoboCop vs. the Terminator Gallery Edition HC <--- Very pleased to offer you a look inside this beautiful $125 beast. It's rad. The Chronicles of Conan vol. 27 TPB <--- Archival Conan collection! The Secret Files of Dr. Drew HC <--- Interesting new archive! The Strain Volume 1 HC <--- READ THE STRAIN. WATCH THE SERIES! Abe Sapien #14 <--- Scott Allie! Eerie #5 <--- Fantastic Horror Anthology! 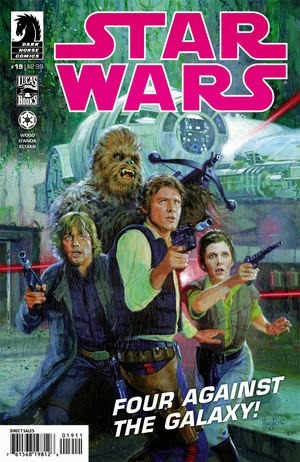 Star Wars #19 <--- Brian Wood's Star Wars looms closer to the end! Terminator Salvation: The Final Battle #7 <--- JMS' Terminator treks into the 3rd arc! 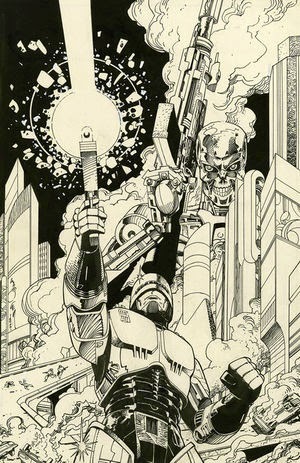 The Terminator: Enemy of My Enemy #4 <--- Dan Jolley! Usagi Yojimbo Color Special: The Artist <--- Sakai's DHP material collected! X #15 <--- X keeps the brutal coming!